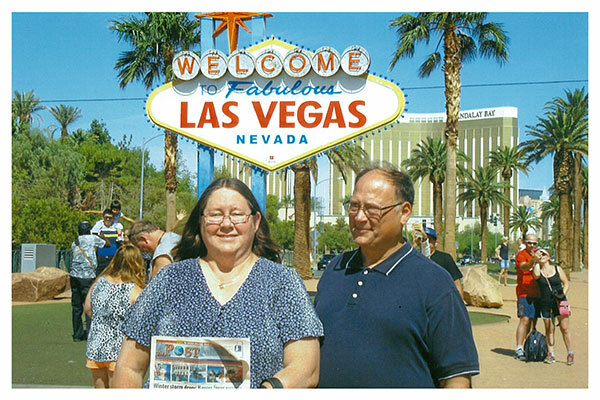 The Post traveled to Las Vegas, with Dave and Debbie Kane, of Ensley Center, for the graduation of their youngest son from college. The photo here was taken on Sunday, September 27, and it was 97 degrees. The Post then traveled with them to Casper, Wyoming, where they celebrated their granddaughter’s third birthday a few days later. It was a big change in temperature, at only 60 degrees! Thank you Dave and Debbie, for taking us with you!